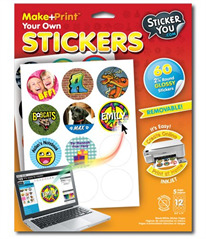 Express yourself with Sticker You Make+Print Your Own Stickers. 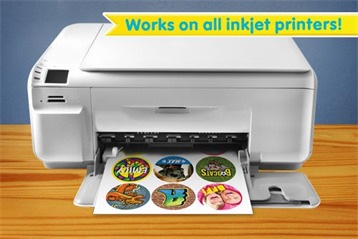 Easily create 2 1/4" round shaped high quality glossy stickers online, print at home. 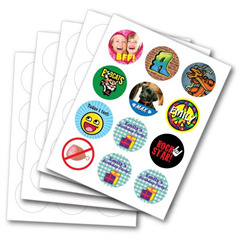 Stickers are removable, colorable, mess-free, and you can download a photograph or image. Our nieces and nephews love stickers! And now you can help them make their own. Now that's a good idea we can stick with, Auntie!